Maarten van Rooijen died in 2003. I watched his shows on television and listened to his radio shows, but I cannot remember when that was. The radio shows must have been in the eighties, or am I completely wrong here? 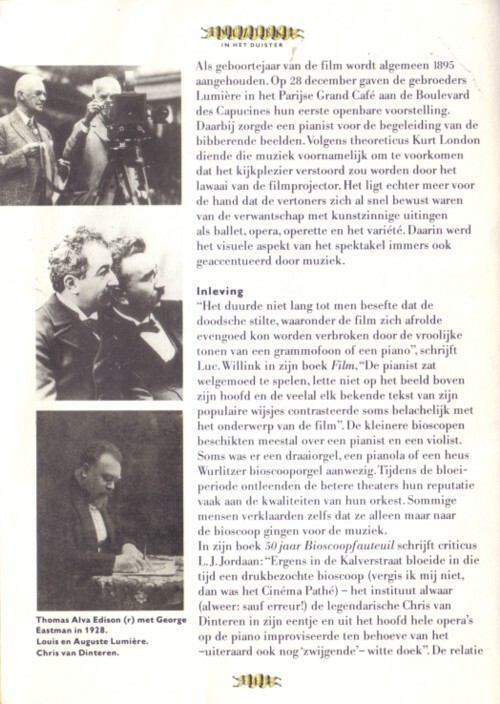 Maarten van Rooijen knew a lot of the early days of movies. 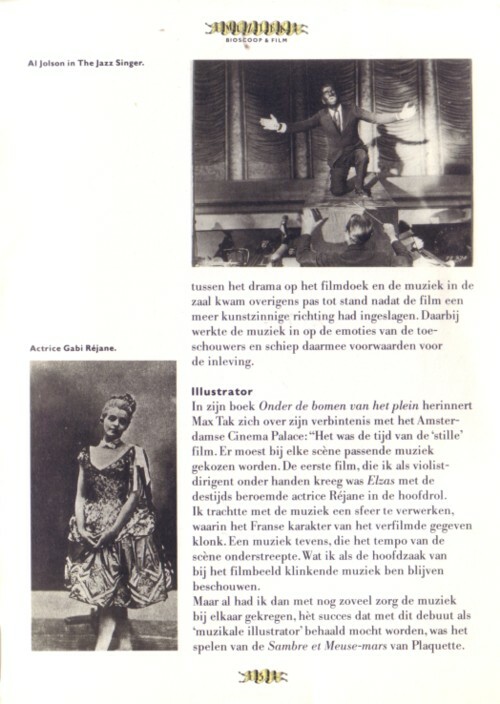 I was never particularly interested in that subject, but I was drawn into it by Maarten van Rooijen. Within the world of radio and television this man was a rare thing. Not much people were so dedicated to a subject as he was. I have recorded his radio shows for a while, but I have erased all of these tapes. 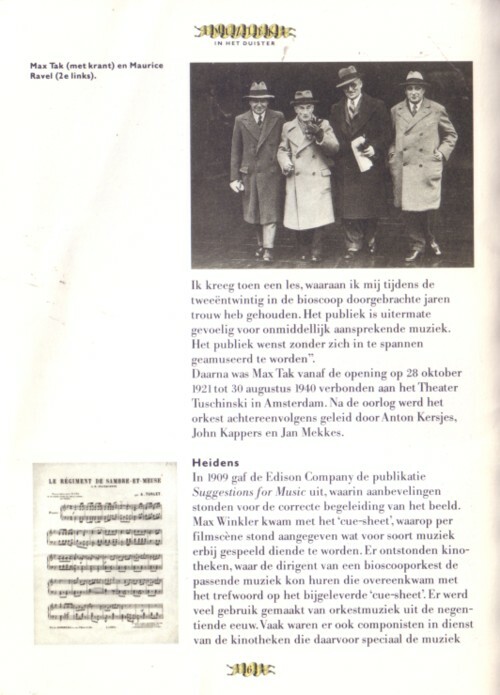 Not so long ago I got a copy of a booklet that Maarten van Rooijen has written in the series of little books on music that the Buma/Stemra has published in the eighties. I don’t know how many titles were released, but it msut have been at least fifteen. I only have a few, but they are real interesting, so I am now trying to get the whole series complete. 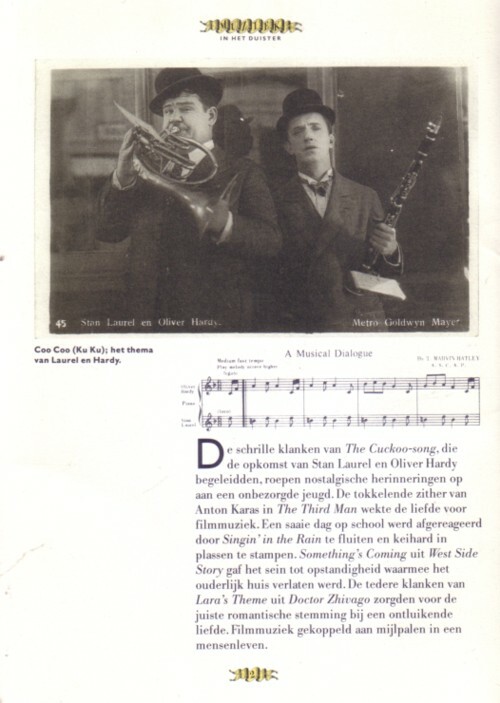 For his television shows about silent movies Maarten van Rooijen choose music as soundtracks. That was the reason why I taped the radio shows, in which he played that kind of music too, because I really liked some of that music. Back then I had no idea where it came from or who made it. 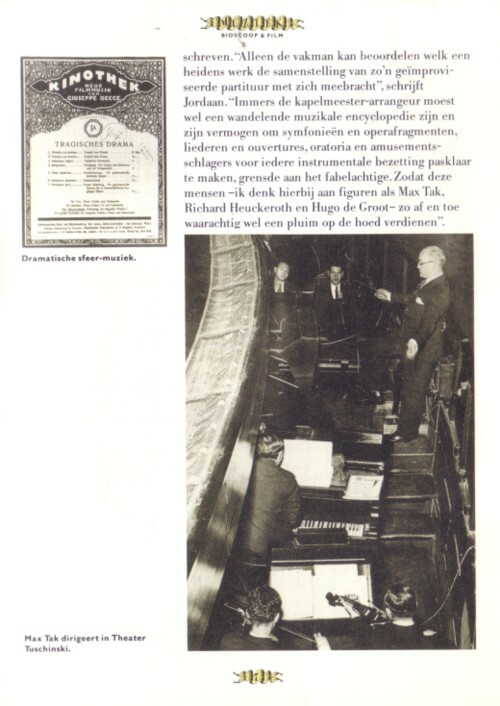 That only came when Piet Schreuders began making radio shows about this music. But that was much later. 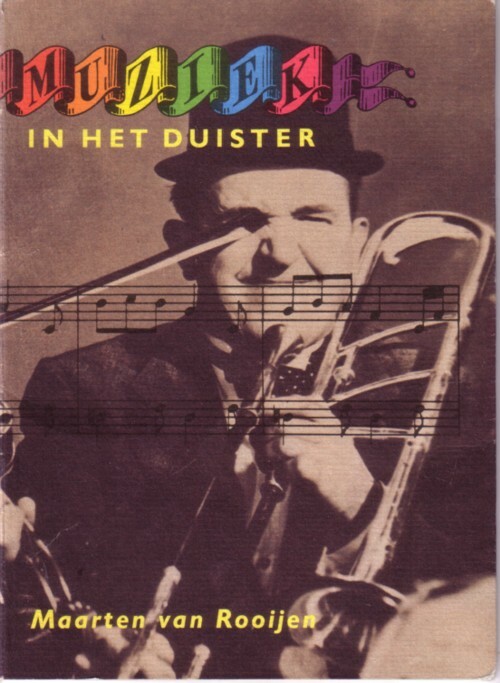 I have one LP with tunes that Maarten van Rooijen used in his shows. 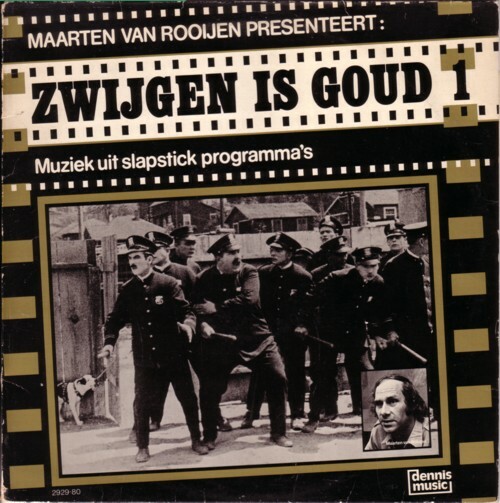 Well, half of the LP is filled with sound effects, but there are about 25 short tunes on ”Zwijgen is goud” , as the LP is called. 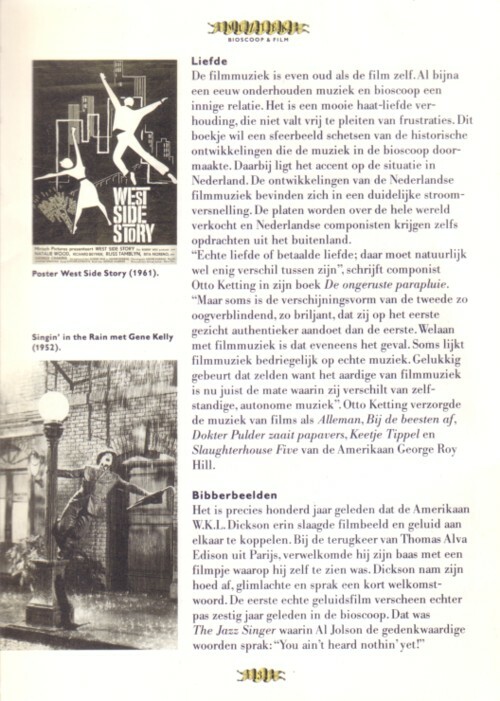 I cannot find a date on the LP, but Maarten writes on the back of the sleeve that the LP was first of all meant for people who made 8mm home movies, so it will be from the early eighties? Sorry that I am so bad at dates. The tunes are all played by the New Concert Orchestra.